The goal of the charity is to create a community that each member, with very little contribution - giving away what is no longer needed will help you to reach the big goal - to cure sick children! All proceeds from development activities are passed on to children with oncological diseases. This year our company has also contributed to the initiative of a beautiful charity for children. With the advancement and emergence of new technologies, we understand how every child wants to have a new computer or phone. We are very excited that we were able to contribute to this wonderful initiative and fulfill children's dreams. 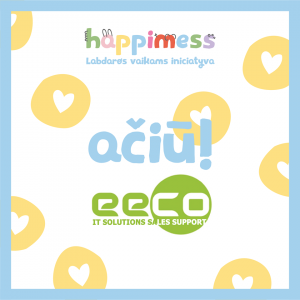 Our company has donated 16 laptops to families of children with oncological diseases.